Taking place a few months after THE CAVEMAN Jørn Lier Horst’s fifth William Wisting novel available in English was, for me at least, a return to the series’ top form. ORDEAL is a complicated but ultimately satisfying tale that juxtaposes a police investigation seeking nothing but the facts with one that is less concerned with truthfulness than closure at any price. 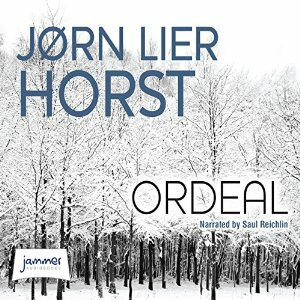 The police procedural is a crowded space in crime fiction these days but Horst is a real master of the art. He doesn’t simply jam his books full of the latest “in” thing but really shows how the disparate elements of an investigation – forensic evidence, witness statements, data analysis and all the rest – need to be brought together coherently in order for the truth to be revealed. When this book opens series hero, William Wisting, is being criticised because of his failure to solve the case of the disappearance of taxi driver Jens Hummel some six months earlier. But when new evidence appears that links Hummel’s disappearance with the high-profile murder of a young girl in a nearby jurisdiction it is Wisting who becomes a critic. The girl’s murderer was, supposedly, captured a mere 14 minutes after the crime was committed and the case is being used as an example of top policing. Accordingly, Wisting’s growing doubts cause him real professional trouble with his colleagues and superiors. I liked the way this novel explored the difficulties inherent in questioning or being critical of colleagues; a reality that is not unique to the profession of law enforcement. As always with this series Wisting’s personal life, in particular his adult daughter Line, plays a significant part in the story. Here Line has moved back to Larvik because she is pregnant and the baby’s father, an American who has returned to the US, won’t be a strong presence in the baby’s life. She’s bought a house in the same street where her father lives (the house at the centre of THE CAVEMAN in fact) and at the start of the novel reconnects with an old school friend, Sophie. Although she’s on leave from her job as a journalist Line can’t give up her innate inquisitiveness and somewhat inadvertently brings Sophie’s family connection to local crime into play in the investigation her father is heading up. Whereas I found THE CAVEMAN a bit didactic in its exploration of social themes I thought ORDEAL got the balance of storytelling against a backdrop of social change just right. Both books look at broadly the same issues – moral decay and relatively modern problems such as violent crime and drugs spreading their tentacles ever wider – but here there is more subtlety which I prefer. If you are a fan of audio books I can thoroughly recommend Saul Reichlin’s narration of this series. Although he is South African not Norwegian the fact that he speaks English with a slight accent helps to remind the reader this is a story taking place somewhere more exotic than ’round the corner. And he is a terrific teller of stories, using only minor differences in tone, speed and pitch to differentiate between characters yet still making each ‘voice’ very distinct. ORDEAL is a great read, or listen, for fans of top notch police procedurals with lots of twists, a thoughtful social backdrop and some heart-stopping moments of real suspense. Although I lament the fact that however Nordic it might be most Scandinavian crime fiction is a far cry from the noir that usually follows that particular N word, this novel’s ending does at least provide the bittersweet sensibility of a more traditional noir tale. This entry was posted in book review, Jorn Lier Horst, Norway. Bookmark the permalink. I agree, Bernadette; this is a good series, and avoids a lot of the traps that a lot of police procedurals fall into, if I can put it that way. I’m glad you enjoyed it. I do have to admit I like William Wisting’s relationship with his daughter. It’s not always easy to write a good parent/adult child relationship, but I think this one is done well. Me, too. Liked The Caveman. This is going on the list and I hope the library has it. This is a good, solid series. I like the involvement of the daughter, although I was tense during a part of The Caveman when she was in danger — which was inevitable the way the story went.